Two days after the firing on Fort Sumter, prolific songwriter George F. Root penned what may be the first song ever written about the Civil War; it certainly would not be the last. The First Gun is Fired: May God Protect the Right proved to be an instant hit throughout the North. A day after he wrote the song, Root had the well known Lombard Brothers perform it for the first time in public at the Metropolitan House in Chicago, and he distributed the first new original sheet music of the Civil War that evening to eager patrons. 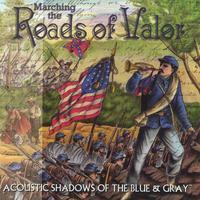 Al Grund (aka The Would Man) is a talented writer, composer, and musician who has recently released a new CD of original Civil War-related songs he wrote, produced, arranged, and performed. 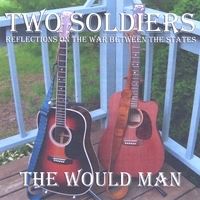 Unlike many Civil War buffs (and artists), his work is non-partisan and apolitical, and is meant to “visit the hearts and minds of people from the common soldier to the elite general.” The lyrics in Two Soldiers: Reflections on the War Between the States capture the mood and attitude of the period and evoke a variety of emotions and feelings as the war symbolically progresses through the eight songs from the beginning of the war to its close. Alternating styles from blues, rock, and folk music, Grund masterfully paints a vivid word and musical picture of the Civil War and its combatants and civilians. His guitar work is superb, and his harmonica playing is really quite good. The disk is available on CD Baby, as well as from other on-line vendors for about $11.95, a very price considering the quality of work. 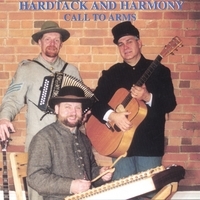 From a wargamer’s perspective, this is great music to stick into the CD while painting or modelling terrain for your wargaming session. Living near Gettysburg, I plan to listen to this one while riding around the battlefield, as it evokes some interesting perspectives on what might have been. Well done, Would Man, well done! I picked up a copy of the 2nd South Carolina String Band’s newest CD this past Sunday afternoon while in Gettysburg for a book signing. This is the group’s fourth CD and, frankly, it may be their best. Most of you are aware how much I enjoy this band, as it was one of my late father’s favorites. This latest effort is a well done mix of some well known tunes (My Old Kentucky Home, Listen to the Mockingbird, etc. 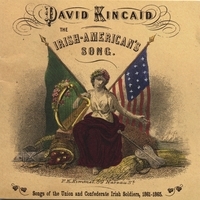 ), some lesser known songs that were popular in the 1860s, and some great parodies from the soldiers (Listen to the Parrott Shell, Southron’s Battle Cry of Freedom, and a southern version of Dixie). Some great stuff in this collection! 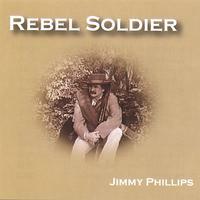 This is very good music to pop in to the CD player as you ride around the battlefield! It’s also good as background music when painting wargaming figures. Pick up a copy today!